Having extra storage space externally is not only beneficial but convenient as well. You’re probably aware of this if you are looking for the Top 10 Best Hard Drive Enclosures in 2019. They are known by other names, some of them being Hard Disk Cases and Hard Disk Caddys. If you are new to this, then worry not! We are going to break things down for you, in the simplest way possible. The best hard drive enclosure is basically a hard disk’s external case. The enclosed hard drive, in turn, becomes an external device. As an external device, you will be able to connect it to your pc using a USB, Firewire or eSATA. If you have an old pc, then a hard drive enclosure will enable you to use its hard drive. Using it will enable you to recover some of your old data. This especially comes in handy with failed computers. You can also use a hard drive enclosed hard disk as a backup storage space. They are a great way to transport data to and fro, especially through distant locations. You will also be able to use the enclosed hard drive on multiple Pcs as well. What Factors Must You Consider While Choosing Hard Drive Enclosures? The Size of The Hard Drive: The hard drive enclosure you buy should be the right size. 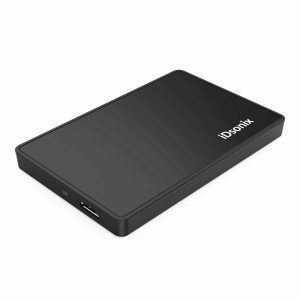 Hard drives for laptops and desktop Pcs vary in size. A laptop drive is 2.5” while a desktop pc’s is 3.5”. Make sure you check the specifications keenly before you make the purchase. The Type of Interface: The hard drives nowadays have a completely different interface from the older versions. That is why this is a factor that shouldn’t be overlooked. The older hard disks have an IDE interface, while the newer ones have a SATA (Serial-ATA) interface. 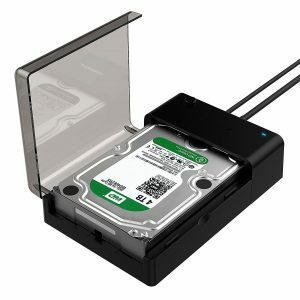 The hard drive enclosure you buy should be compatible with the interface. What type of connection will be needed? When it comes to connecting your hard drive enclosure, you can use Firewire, USB or even eSATA. The kind of computer/devices you use will determine the type of connection you need. Fans: As mentioned earlier, desktops and laptops both have different hard drives. If you have confirmed that you need a 3.5” enclosure. Ensure that it comes with a fan; this will help it work more efficiently. 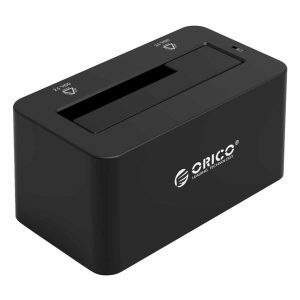 When you make this purchase you will get; a 12V Power Adapter, a 3.3 Ft. USB Cable, a User Manual, a Service Card and an ORICO Dual Bay Hard Drive Docking Station. This is a great option since it has very high compatibility. The enclosure can support all 2.5 and 3.5-inch SATA drives. The best thing about it is that it has a capacity of 8TB. 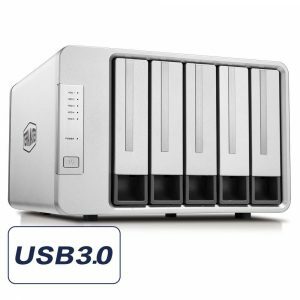 The hard drive enclosure uses a USB 3.0 connection. Because of this, most individuals identify it as super speed. The connection is said to be up to 10X faster than USB 2.0. However, it is a consumer favorite since it’s also compatible with USB 2.0 and 1.0. It’s definitely a must-have for desktop usage. Your purchase will also include an 18 months warranty. If you buy one in an ORICO direct store, the company will also offer lifetime technical support. 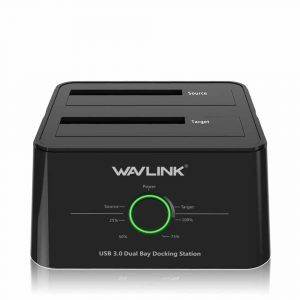 WAVLINK offers you a fast access option, to your archived and uninstalled drives. Whether you need one for a testing center, drive imaging, or for data recovery, this is the answer to all your frustrations. The power control switch is built in and the DC power source is very reliable. Not only that, but it is also highly efficient and stable. The hard drive enclosure can be used with Windows Vista / 7 / 8 / 10, Mac OS X 10.2 to 10.10, operating systems. The installation process is very simple and tool free as well. You will also be impressed with its Offline Clone operation. 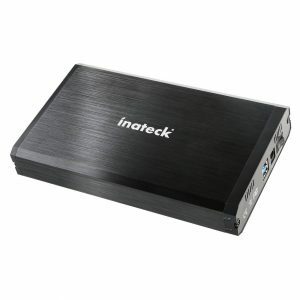 This Inateck hard drive enclosure has an inbuilt ASM1153E chipset. 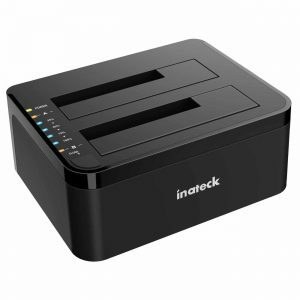 It is able to support all standard 2.5/3.5 inch SATA I/II/III drives with the maximum being 10TB. One of the things that put it in the lead is the 6Gbps Signal bandwidth. This is what is responsible for the extra fast backups you get with this enclosure. It has an aluminum alloy which makes it durable and the craftsmanship is impeccable. It has internal PU leather, which provides protection from scratches. 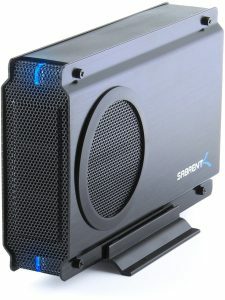 This Sabrent hard drive enclosure was made for 3.5 inch IDE or Serial ATA Hard Drive. Whether you are using a PC or notebook, you will get easy access when using it. It was made with an aluminum case which is ultra-light, to enhance its portability. The high-speed data transfers it supports are 480mbps. Best of all, it was designed with a cooling fan. This enclosure also supports Wakeup ability. It is designed with LED Light indicator that will help you to monitor the status of the system. 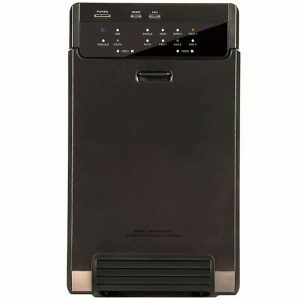 This also has an embedded Raid controller that ensures data integrity. The drive supports both UASP and S.M.A.R.T. protocols. It has a low-noise fan that ensures that there is good heat dissipation. You are able to store your family video photos and more information in this drive and you are assured that they are secure. 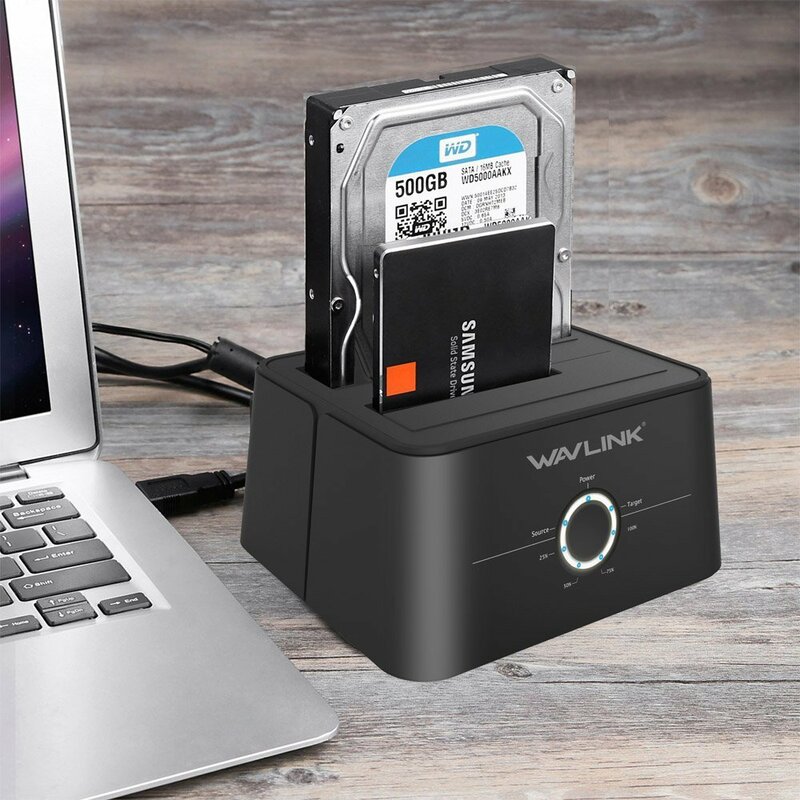 This hard drive Enclosure has a data transfer rate of 5.0Gbps when used with USB 3.0. It is built with a smart fan that ensures that there is efficient cooling. It supports up to SATA III speed. It also has a data transfer rate of 3.0Gbps when used with eSATA. 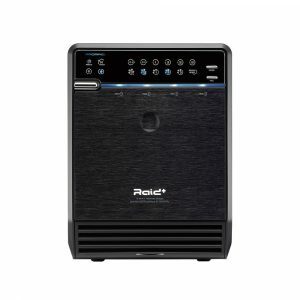 It has a built-in board raid controller that has a control button. The gadget is compatible with all Windows platform or Mac OSX 10.8. It is mainly intended for small businesses and home users. For another great tool-free enclosure, this is an option worth looking in to. The hard drive enclosure has been approved by the CE and FCC. You won’t need any driver and it works well with Windows, Mac Os and Linux. You won’t be restricted and can back up a large number of items for your smart TV, PSP, Desktop expander and even Photography. The enclosure even has multi-safety protection and an independent power switch. With this hard drive enclosure, you won’t need a computer to clone/ duplicate. It is completely computer independent, thanks to its new cloning technology. Its ability to support offline cloning sets it apart from its competitors. The installation process won’t give you a hard time, and it can support up to two 8GB hard drives. If it’s not used for more than 30 minutes, the hard drive will enter sleep mode. Sabrent makes another appearance on our review. This particular hard drive enclosure, offers faster performance than most. This is also because it has UASP support. This also means that the host system should be UASP capable. Swapping hard drives is also fast since the enclosure is case-less. It is backed by a 1-year warranty. However, if you buy and register it within 90 days, you will get another 1-year extension. 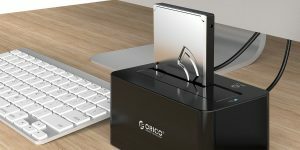 Of course, there’re countless reasons why thick hard drive enclosure occupies the first position. From the material to its unique design, this is what you need for the safety of your Hard drive. With the best hard drive enclosures, you will experience a whole new world of convenience. A lot of people lost much of their important data before enclosures were popular. As we have seen, the hard drive enclosures also help with other things. However, when it comes to exchanging and transferring data, it will only be as fast as the type of hard drive you have settled for. This list is a result of proper and adequate sifting of all available brands. We hope you’ll find the right one for your requirements.